Aromatherapy Properties: A pale yellowish brown liquid with a slightly sweet, peppery aroma, similar to a loaf of rye bread! It blends well with basil, chamomile, cinnamon, coriander, frankincense, ginger, jasmine, lavender, orange, and other fruity or spicy oils. Spiritual Uses: Caraway has long been reputed to have protective properties -- particularly in matters of both love and personal property. This also crosses over into Voodoo, where Caraway is viewed as being able to protect children. Being ruled by Mercury, Caraway is useful for those who wish to acquire magickal and spiritual skill, as well as for those who seek to travel between different planes. 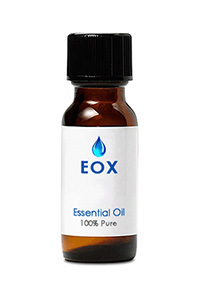 Blends well with: Lavender, Coriander, Chamomile, Basil, Cinnamon, and Jasmine. History: Archaeologists have discovered Caraway seeds in the refuse areas of prehistoric communities in southern Europe, which would seem to indicate that the plant was a part of early man's daily life. Caraway has been called by many names in different regions, including the Latin cuminum (cumin), the Greek karon (again, cumin), which was adapted into Latin as carum (now meaning caraway), and the Sanskrit karavi, sometimes translated as "caraway," but other times understood to mean "fennel." In German folklore, parents placed a dish of caraway seeds beneath children's beds to protect them from witches. Caraway has an extensive culinary history, and is perhaps best known as one of the main seeds used in rye bread.